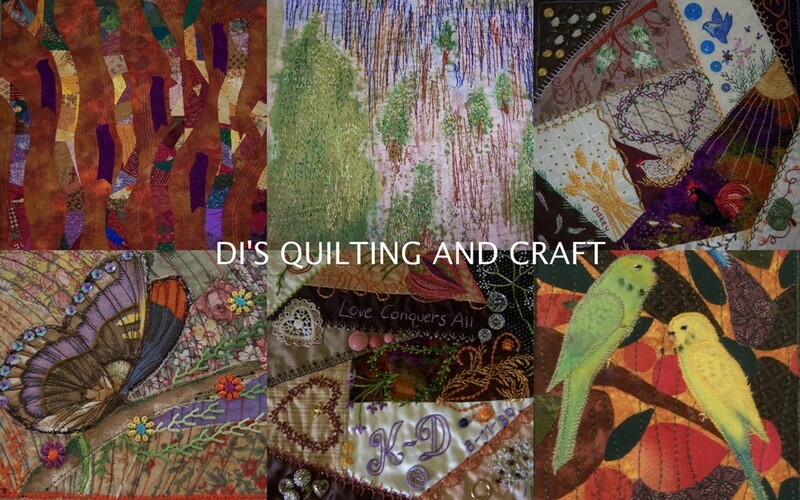 Dinky Di Quilting & Craft: Spring or Summer? I'm confused! We are having a heat wave in the middle of August! It is currently 27 deg. C (4.oopm) and apparently it is going to climb to 31 deg. tomorrow. Whew! It is nice to have some warmth on the body though, and to see the colours emerging in the garden. 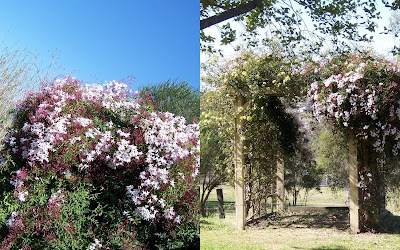 I love the jasmine climbers (above), but they do grow rampant. The one on the left I cut down to the ground about 18 mths ago!! Here is the happily married couple of 50 years, Claudette and Colin, enjoying their special day. Oh, I forgot to mention that Claudette still plays competition squash. Many of her squash friends were at the function, and a lot of Colin's running friends. On retirement, Colin studied and learned to speak the Mandarin language. These two make me tired talking about them!